Last month the Australian Government announced that 104,000 people across Australia have been approved and are waiting for Home Care Package allocation. This is the largest wait list experienced in this area and industry expectations suggest this might be addressed in the upcoming Federal Budget as a result of the changing landscape of Consumer Directed Care that enables people to choose who their support provider is. As a result, MCT is proud to reveal that we have developed a new marketing campaign to promote our Home Care services. This campaign will highlight how we are different and how we are helping people in their homes every day, to live their life, as they choose. Check out some of the behind-the-scenes photos above and below. Carmen Windsor and Jayne Williams from our Executive Team recently returned from four days filming in the North West, there they captured the stories of three very special people that our team support. 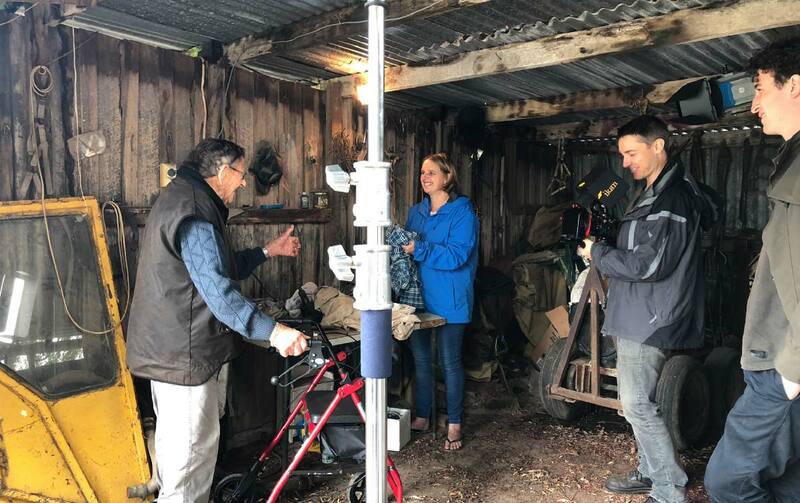 We have produced a series of 30-second television ads that will air on Southern Cross Television statewide, as well as some 60-second ads specifically for social media. Thank you again to everyone who has made this happen. We can’t wait to see how this campaign increases our Home Care client base statewide.